Fees at border crossings like this one in Montreal could raise millions for infrastructure. The story as it aired on KUT News 90.5 FM. The federal government is mulling a possible entry fee to cross the border into the U.S. The Department of Homeland Security wants to study if, and how much, it could charge people on the millions of trains, buses, personal vehicles and even pedestrians crossing the U.S. border every year. The idea would be to use the money for infrastructure repairs and maintenance at the ports of entry. 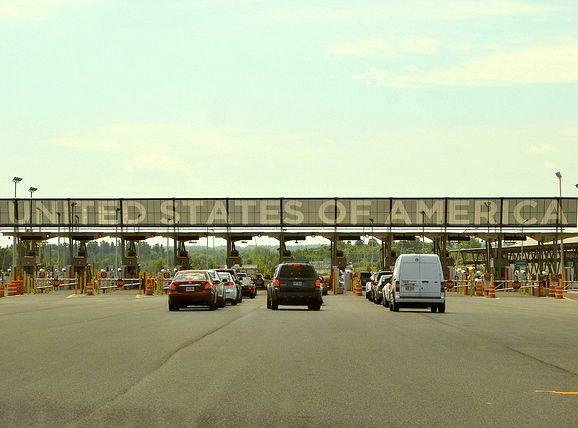 The Bureau of Transportation Statistics counted more than 218 million people driving or walking into the U.S. last year from Canada and Mexico. That number does not include buses or trains. So, the country’s ports of entry are busy and there may be a way to capitalize on that. But, the idea is neither new nor popular. States like Vermont and New York oppose it, while some Texas politicians welcome it because the ports here are the ones showing the most wear and tear – not just from commerce and tourism, but also from the thousands of people who commute every day to work from one side of the border to the other. At the moment, travelers flying into the U.S. or using the country’s seaports pay a fee of about $2, which is included in their ticket. The DHS study would also consider if that fee should go up. 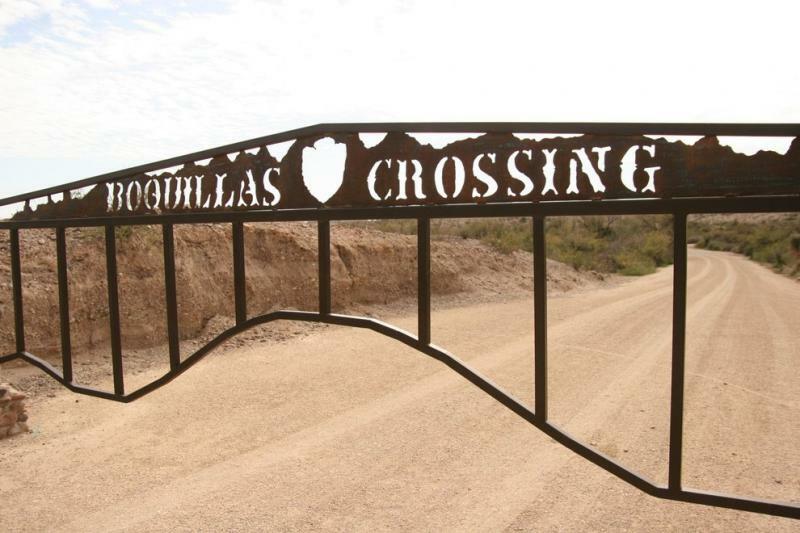 The gate leading to the river crossing into northern Mexico near the village of Boquillas, Mexico. Marfa Public Radio Reporter Lorne Matalon explains why this border opening is significant. A border crossing opened yesterday for the first time since 9/11 – reconnecting Big Bend National Park with Boquillas, Mexico. The opening reunited families and friends and restarted the tourism-driven commerce that once flowed across the border. Before the border was closed, 300 people lived in Boquillas. Now, just 90 live there.